If you’d like legislative information right to your inbox on a weekly basis during the session, please sign up for our legislative updates email list here. Want to lobby with us at the Capitol or get involved this session in other ways? 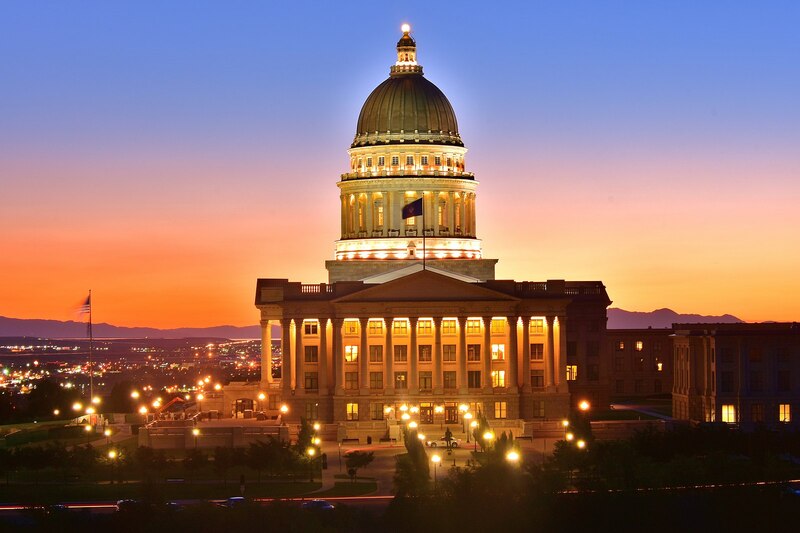 HEAL Utah will be at the Capitol in room 105 every Tuesday and Thursday during the session from 9:30-12:30 to help you lobby. 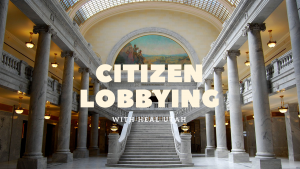 Sign up to lobby here, learn how to lobby at the very bottom of this page or here, and email our Grassroots Organizer, Noah Miterko, at noah@healutah.org to get involved in other ways. Be sure to check out the HEAL Utah Capitol Report on Facebook and YouTube, which recaps each week during the legislative session. Our tracker will be updated on a daily basis during the 2019 legislative session. If you are using a mobile device or tablet, please scroll horizontally in the table to see more! Clean Air HCR003 Concurrent Resolution Urging the Environmental Protection Agency to Update Switcher Locomotive Emission Standards Rep. Stephen Handy Urges the EPA to develop and make more stringent emission standards for switcher locomotives. Support Passed the House and Senate! Energy and Climate HCR002 Concurrent Resolution Supporting Renewable and Sustainable Energy Options to Promote Rural Economic Development Rep. Patrice Arent Promotes the continued and increased development of renewable energy in rural areas of Utah. Support Passed the House and Senate! Clean Air HB0148 Vehicle Idling Revisions Rep. Patrice Arent Strikes language that limits the ability of municipalities to enforce anti-idling ordinances. Support Passed the House and Senate! Clean Air HB0139 Motor Vehicle Emissions Amendments Rep. Angela Romero Tampering with a car's engine in order to spew stacks of black smoke on demand (known as "rolling coal," this is a trend that releases excessive vehicle emissions) is illegal. This bill would increase the penalties and improve the reporting system for those who tamper with engines to "roll coal." Support Passed the House and Senate! Clean Air HCR011 Concurrent Resolution Encouraging the Purchase of Tier 3 Gasoline Rep. Suzanne Harrison Encourages the purchase of Tier 3 gasoline by both retailers and consumers. Support Passed the House and Senate! Energy and Climate HB0218 Construction Code Modifications Rep. Mike Schultz Makes amendments to the residential building code to improve energy efficiency in newly-built homes, and adopts the 2018 commercial construction code. Support Passed the House and Senate! Clean Air SB0144 Environmental Quality Monitoring Amendments Sen. Luz Escamilla Requires the creation of a data baseline in the Utah Inland Port Authority area in order to track the inland port's environmental impact. Support Passed the House and Senate! Energy and Climate HCR005 Concurrent Resolution Urging Policies That Reduce Damage from Wildfires Rep. Raymond Ward Urges the pursuit of common sense policies to improve forest management practices in order to mitigate climate change's impacts on wildfires and help improve our air quality. Support Passed the House and Senate! Clean Air HB0353 Reduction of Single Occupancy Vehicle Trips Pilot Program Rep. Joel Briscoe Creates a 3-year pilot program to fund 15-20 days of free transit fares throughout the UTA service area during the winter inversion season. Includes data collection and reporting to the legislature on transit ridership and vehicles on the road. Support Passed the House and Senate! Clean Air HB357 Voluntary Wood Burning Conversion Program Rep. Timothy Hawkes Incentivizes homeowners to replace wood stoves and fireplaces. Support Passed the House and Senate! Energy and Climate HB411 Community Renewable Energy Act Rep. Stephen Handy Creates mechanisms for cities to transition to renewable energy, including requirements meant to protect ratepayers. Support Passed the House and Senate! The Governor proposed $100 million for one-time air quality projects in order to reduce emissions by 25% by 2026. This money will be allocated in the form of appropriations, which are funding requests to support a proposed program. In the end, air quality appropriations received $28.8 million. While the $28 million that the legislature approved is less than one-third of the Governor’s request, this is easily one of the largest amounts the legislature has ever given to air quality programs in a single year - so there’s definitely a reason to celebrate! Below are the programs which received funding this year. Wondering how to citizen lobby? Get started by watching the video below, sign up to lobby here, and reach out to Noah Miterko, noah@healutah.org, with any questions!